It has been over two weeks since I last posted a blog on my site and want to apologize to you, my faithful readers, for keeping you in the dark for this long and appreciate you for continuing to stick with me. I promise to make up for this lag in stories, insights, funny moments and more in the coming weeks and moving forward. It just so happens that after a nearly eight month process of trying to find a home, we have officially closed, been packing, and gearing up for the big move later this week. We are so excited. While the process of finding a home was daunting for us, and not a typical experience from what we have learned from others, we are thrilled with our new digs and building a foundation for the life we have created with Sarah. We are so happy to plants roots and for Sarah to have a home she can live in for a long time. There have indeed been many lessons and insights I have learned from this experience, especially being a parent, that I look forward to sharing with you in the coming weeks as we settle into our new abode. We are incredibly excited to have found a home that we love, being so very close to family, nearby to work, and in an area we really like and want to grow as a family together in. We are in the process of kid proofing before our active monkey runs amok inside and out. I will be in touch shortly and appreciate your patience and understanding and look forward to connecting with you very soon. I am especially excited because I now get a room in my new home that I can call my space, which will also be the guest room, but where I can house my desk instead of the family room, and have private space beyond my bedroom to hole up in and write to you, relax, exercise (dance with reckless abandon), meditate, and enjoy. Here are some Haiku to help get you through the next week as I ready for our move and major life transition. Thank you. I will be in touch soon. Hope you are well. 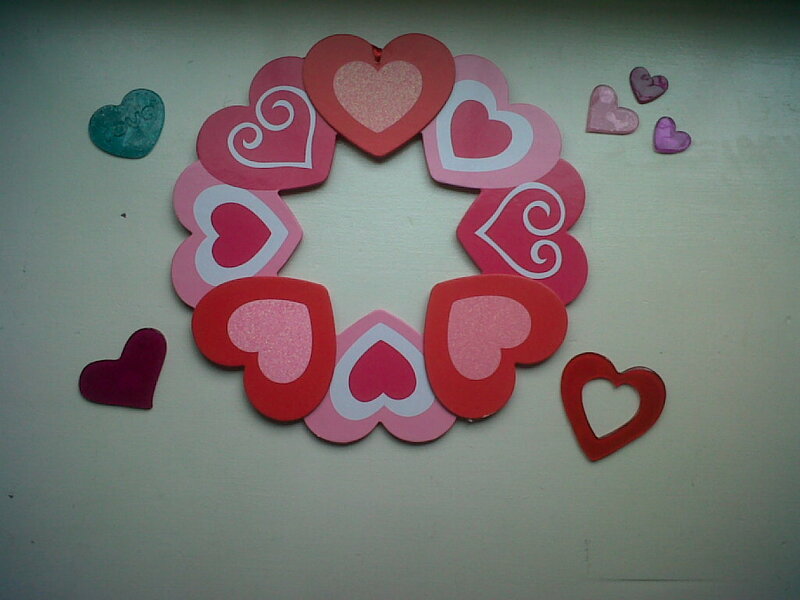 I wanted to take this time to wish you all a Happy Valentine's Day. Today is a day about love. It's not just about the relationships we are in with husbands, wives, boyfriends, girlfriends, fiances or partners. I know this all too well as there were many Valentine's Day in my life that I did not have a significant other. However, I was truly blessed with love from dear friends and family, which spoke volumes. Today is a reminder of the love in our lives. The love we feel for ourselves and the love that we give to others and receive. Love is also with our parents, siblings and friends. 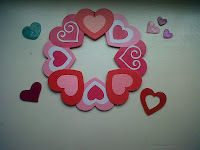 Love is all around the world, even on days when we are skeptical. For those of us who are parents love comes in our children. It is a love that is hard to describe. A feeling that cannot compare to any other. A love that is unconditional and selfless. To commemorate today, enjoy some holiday Haiku. I was saddened to hear about the death of Whitney Houston, an iconic singer of my youth and young adulthood who was known for her incredibly high octave notes and soulful voice, which resonated for millions. Often times, Whitney was established as the benchmark for talent. Maybe that was too much for her to handle through her life. Some people struggle in life with too much success, and especially too much fame and fortune. It's so very unfortunate. I really thought there was hope for her after she has a rough go of things in her marriage with Bobby Brown. Once her daughter came along I thought maybe there was renewed hope and inspiration for her. I feel pain for her now 19-year-old daughter who will experience her future life without her mother's emotional and physical support. I pray for her daughter to have the strength, and much needed support, to help her remain level-headed, on track and with direction. I pray for her not to get "lost" like her mother did by the emotional and physical demons in her life. This somber blog post is in memory of Whitney, and in honor of her daughter Bobbi Kristina, her survivor, who now lives beyond her mother's legacy. I think back in time to the many songs sung by Whitney Houston that I played over and over again, tapping my foot to and making a pathetic attempt at singing on top of my lungs. Songs like "I Wanna Dance with Somebody" and "Greatest Love of All" and "I'm Every Woman" all had meaning and purpose. When Whitney sang, she gave every melody and harmony purpose. 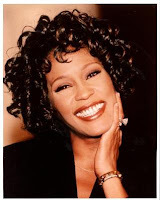 A particularly special song called "Count on Me" sung by Whitney Houston and CeCe Winans that resonates much for me, and is a special connection to a dear friend, troubles me as well, as far as Whitney goes. This song is about counting on someone to be there "through thick and thin" and "when you are weak I will be strong" and "call on me I will be there." It seems as if Whitney may not have had enough of that in her life to help her when she needed it most. It could also be that she didn't know she needed help or that she struggled just too much to get her life back on track and in a positive direction that it became an uphill battle. Whitney suffered in her final years of life, and especially in the days leading up to her death. Her passing leaves a hole in many people's hearts, including mine. There won't be a moment when listening to her music that I hear her call for help, acceptance, peace, love and support. In memory of Whitney Houston here are some Haiku. There are many people in this world who have inspired me over the years including those extremely known such as, but not limited to, Susan B. Anthony, Rosa Parks, Maya Angelou, Clara Barton (who I dressed up as in the 8th grade) and so many more. All of these women made their mark on the world because they supported causes that meant a great deal to them and took risks to make things happen. There are also many women in our lives, mothers, daughters, aunts, nieces and friends that inspire us as well, who might not (at least not yet) be famous, but who are special to us in many ways. A woman who I have found to be incredibly inspirational, and someone who I have been fortunate to live next door to for this past year is my neighbor, and new friend, Donna McCart. She's a loving and wonderful human being, and mother, who does for others, especially her friends and family, before she does for herself, and is one of the most selfless people I know. She is a true inspiration. She also manages to always, and I mean always, find the silver lining of every cloud despite how sometimes dark life may get. Nearly every day Donna posts words of wisdom on Facebook, including motivational quotes. She lives her life her life by these standards with this inspirational approach despite obstacles that cross her path. She is also that person who has a smile on her face often despite adversity. Last year, Donna's life, and that of her family, was turned upside down when her husband Ray was diagnosed with a rare brain cancer that changed their lives in an instant. The culprit, Glioblastoma Multiforme IV (GBM). 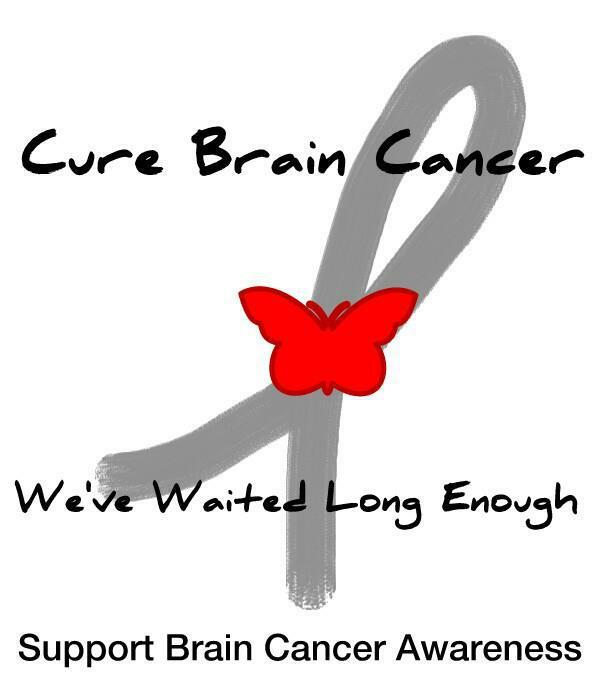 According to the National Brain Tumor Society GBM is the most common and aggressive malignant primary brain tumor in humans, which can spread to nearby tissue, grow rapidly, and accounts for 17 percent of all primary brain tumors. 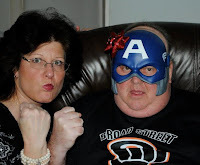 Through everything that Donna and her family have been through, and especially with Ray's cancer diagnosis, she has, at least from what I have seen, been an iron clad strength and spirit despite it all. If that's not inspiration than I don't know what is. It is this that inspired me to write and dedicate this blog to her honor. When I asked Donna if I could share her personal story and experience regarding Ray she said, "I am absolutely thrilled that you would want to share [my] story [and] please feel free to share whatever and however you want to. It, unfortunately, is a fact of life and I'm just doing the best I can to make margaritas out of the lemons of life." 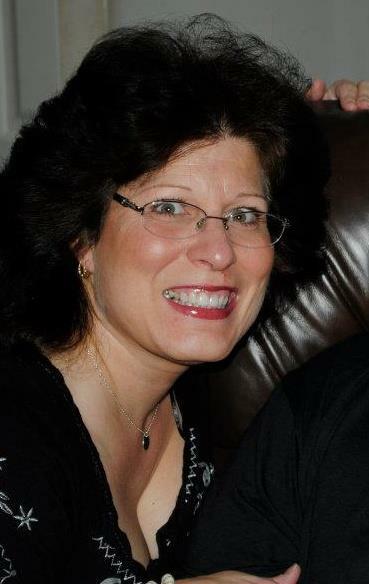 To help her cope with her "new normal", Donna has been documenting her experience regarding her husband of now 25 years on the Caring Bridge networking site here, an online community that connects families and friends when health matters most. Donna says "this cancer affects only tends of thousands (some reports say 20,000 and some say 30,000 of people each year so unfortunately that along with the quick progression of the disease have not allowed this cancer to make the progress in research that has been made in the others." This is why there is such a need to help this cause where research is greatly needed. Therefore, I wanted to make a plea to you today. There are many causes in this world that many of us support. And, we all know that every little bit counts. Donating does not have to be monetarily large. Every penny counts towards cures. Today, Daniel, Sarah and I are donating to support this cause that is now near and dear to us since this cancer now has a face, and it belongs to Ray McCart. I implore you to consider to donate to help support this cause, however much you are able to give. 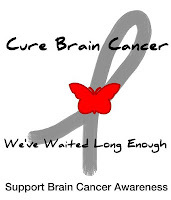 Donations can be made to the American Brain Tumor Association online here. Please help us in joining the fight to support this cause of GBM. Thank you for letting me share with you this story of The McCarts and in honoring Donna, a strong, willful, and inspiring woman. Today, February 2, is also World Cancer Day. Let's do what we can to help find cures for cancer, think of loved one's whose lives have been lost, the millions of survivors overcoming cancer, and the many, like Ray McCart who continue to fight this battle everyday.